Digital technology in healthcare is booming at a rate that no one would ever have imagined. From smartphone apps to self-monitoring healthcare devices, the healthcare delivery system has started to change for the better. Digitization in itself, however, must not be blamed for introducing changes in how healthcare has always been traditionally delivered to patients. The digitization of healthcare is expected to and has, in fact, successfully managed to handle some of the most common problems associated with traditional healthcare delivery models – long waiting times, ever increasing cost of healthcare, shortage of trained workforce, infrastructure problems, and intrusion into patient privacy and confidentiality. One of the major breakthroughs enabled by digitization of healthcare is telehealth, often referred to as telemedicine. It dates back to the time of the Civil War and the Indian Independence, when telephone and telegraph were actually used to order medicines and send radiology imaged over a telephone line. Telemedicine has been making our lives easier for many decades. However, recent advancements in this burgeoning technology make it an integral part of the current and all future healthcare delivery models. In simple terms, telemedicine involves the use of telecommunications services for information exchange to impart clinical services to patients. For example, imagine a doctor providing consultation to his or her patient through a mobile app or over a phone call, thus eliminating the need for a patient to personally visit a doctor’s office. Teleconferencing, videoconferencing, messenger chats, emails, and transmission of images from one place to another are all considered a part of telemedicine and telehealth. Depending on the type of specialty where it is being used to impart information, telemedicine can be of different types – teleradiology, telepathology, telepsychology, teledermatology and so on. Patients with chronic health illnesses can be looked after at home by their family members or an at-home caregiver. The health and vital statistics of such patients are often monitored around the clock with the help of a machine. The doctor concerned usually has access to the data recorded by the machine and can accordingly guide the family members of the caregiver if any intervention is required. Such an application of telemedicine helps saves time, in addition to the ever-increasing hospitalization, transportation, and other miscellaneous healthcare-related costs that a person admitted to the hospital has to pay for. Interactive medicine also allows patients and doctors to communicate in real-time with the help of online chat sessions and videoconferencing. Such sessions can be used to deliver medical information, share reports, share reports, and look at the physical recovery of the patient to any specific signs and symptoms. Such sessions can also be conducted in case both the patient and the doctor are present at different locations – in different cities or country. It is a great way to keep a track of a medical tourist after he or she has flown back to their home country. Such follow-up sessions are also conducted by medical tourism facilitators . India is the second most populous country in the world and that well-explains the healthcare disparity, among other social issues, that is bound to affect the masses. Telemedicine as a tool for healthcare delivery, has proved to be an effective way of reducing this disparity. While it would be inappropriate to state that telemedicine is likely to replace traditional healthcare anytime soon in the future, it is, indeed, a promising solution that can assure quality healthcare services to the masses in the underserved regions. A review article published in the journal Primary Healthcare  explains how has evolved in the recent past, thanks to the efforts made by the state governments and the private sector. From setting up of village resource centers (VRCs) in the Northeastern states to the establishment of Hospital Information System ‘TEJHAS’ (Telemedicine Enabled Java based Hospital Automation System) and the PAN India Oncology Network dubbed ONCONET, a number of milestones have been achieved through the joint public and private sector involvement. The Apollo Telemedicine Network, Practo, MediGence, and Lybrate are some of the healthcare initiatives that have gained quick popularity in India. These platforms strive to deliver quality healthcare patients by letting them find the right treatment option, search for the best doctor, and seek information about their diagnosis or medical condition. Some of these platforms also provide an option to interact with the concerned physician directly and post questions for them to answer. Seeing the advantages of telemedicine – increased convenience, improved access to healthcare, reduced doctor appointment cancellations, and increased acceptance to healthier lifestyle choices – the field in itself is expected to evolve tremendously in the years to come. For example, researchers are working on implantable devices and pills that can monitor the vital signs of the patient and around the clock. These little chips can be connected to a cloud server that can directly be accessed by the physician to look at the vital signs of the patient. The radiotechnology communication systems for the ambulances are also expected to improve in the time to come. The new systems will not only improve the communication between the patient, ambulance care giver, and the hospital, but also expected to improve the lives of the patient, humanize care, and reduce waste. Doctors around the world also look forward to using devices that can direct the patient when to adjust their dosage for medications and what changes to make in their dietary lifestyle. These devices can actually help manage chronic diseases such as diabetes and hypertension. One such example is the Abilify Mycite, a technology by Proteus Digital, was recently approved by the Food and Drug Administration (FDA) in the US.The digital health solution, available by the name Proteus Discover , is a combination product with ingestible sensors that run on gastric acids. The Discover sends regular updated to the physician who can actually known whether or when the patient has taken the medication. 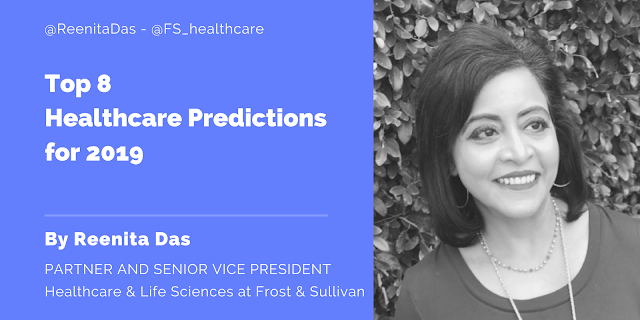 Novel solutions like Proteus Discover are being designed to improve medication adherence, less doctor visits, reduce costs, increase patient engagement, and optimize outcomes. Its is estimated that currently, non-adherence to medications prescribed by the physician costs a whopping $100 billion a year. The use of such ingestible sensors can actually help reduce the cost burden, while successfully managing chronic conditions such as diabetes and hypertension. A Medical Content Writer and Manager, Editor and Blogger. 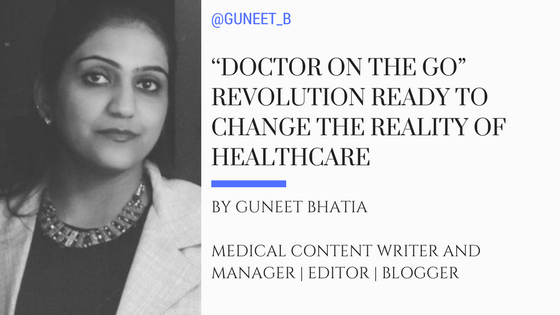 Guneet Bindra is currently working as as a medical content writer and manager with different national and international clients, including medical practitioners and drug companies. She has worked as a team leader, science & health with International Business Times.